We introduce our business as a notable entity of qualitative array of Disc Clutch Plate. MEA and MBA electromagnetic disc clutches are the workhorses in their area. Their high work capacity enables the play-free acceleration of large inertia, ideal for diesel engines. Jeyson's MDC Series multi disc clutches are available in air actuated & spring released and also spring engaged & air released mozdels and have the following characteristics. 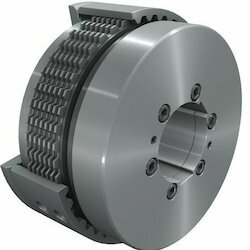 We manufacture a good quality series of EK 40 Double and Single Multidisc clutches. Wonderful torque and quick release is our speciality . These double clutches are used in HMT make L - 45 Lathes. - Mainly used in machine tool and where dimensions are critical. These are normally off type units. Our clients can avail from us a wide range of Binder Magnet Type Clutch which are made by using latest technology and superior quality raw material. These Binder Magnet Type Clutch are widely appreciated by our clients for its hassle free performance. 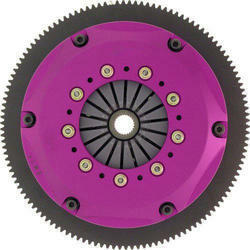 In order to fulfill the diverse requirements of our clients, we are engaged in offering supreme quality D Clutch. These rolls are manufactured using superior quality ebonite, MS, stainless steel and aluminum, which is sourced from the reliable vendors of the market. Moreover, clients can avail these rolls in different specifications as per their requirements. In order to retain our remarkable position in this industry, we are providing a wide array of Pneumatic Disc Clutch.